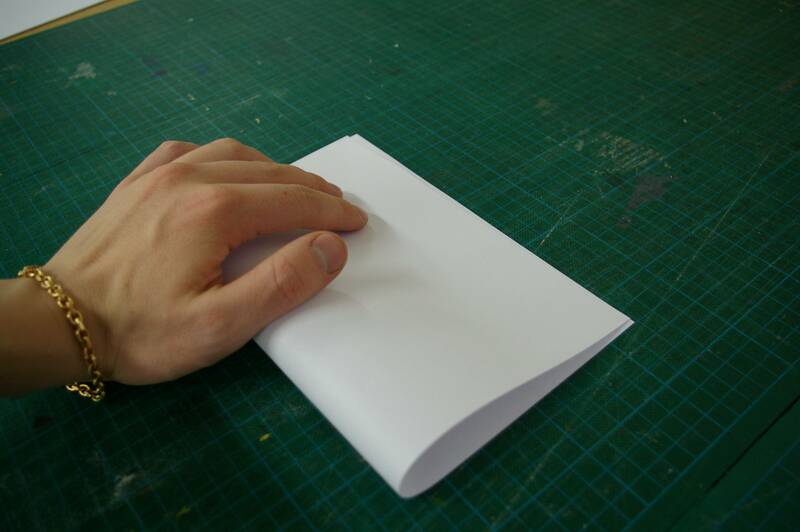 Fold all pages once. 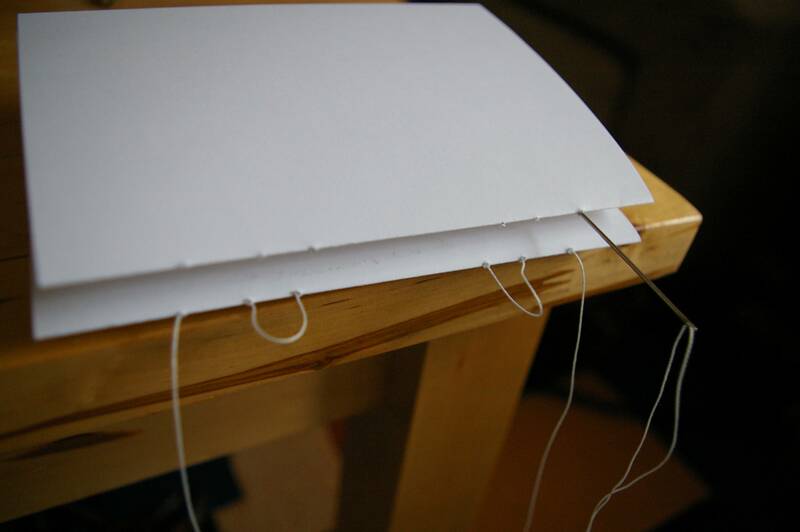 (You can feel the fibers by the way the paper bends when you fold it. 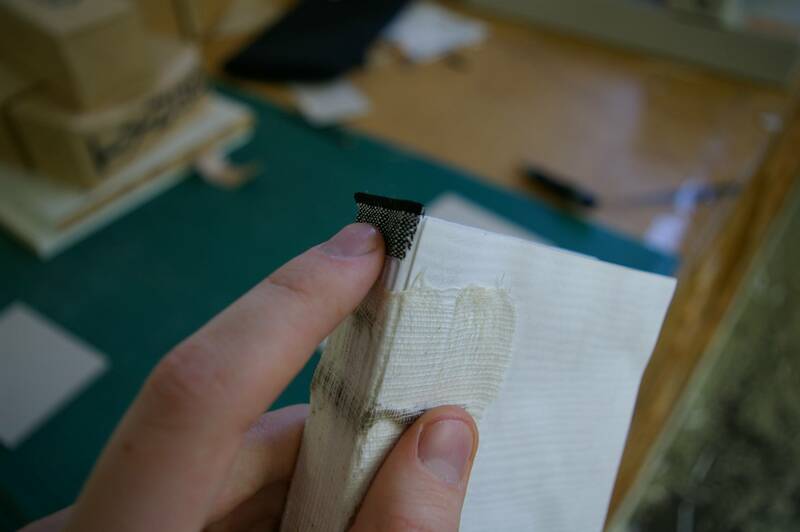 If it feels flexible then that is the way the fibers are aligned). Put them in each other 4 by 4. Let’s call this a “flap” for now. Stack all the flaps together and put in under pressure. Preferably for 24 hours. Mark the flaps with a pencil, the lines should be equal apart in length. The space in between the two closest lines here is 1cm. The size may differ depending on the dimension of the books. Poke holes in the marks with a sewing needle. This is easier to do if you have a lamp in front of you. (This is why we made them 4 by 4. 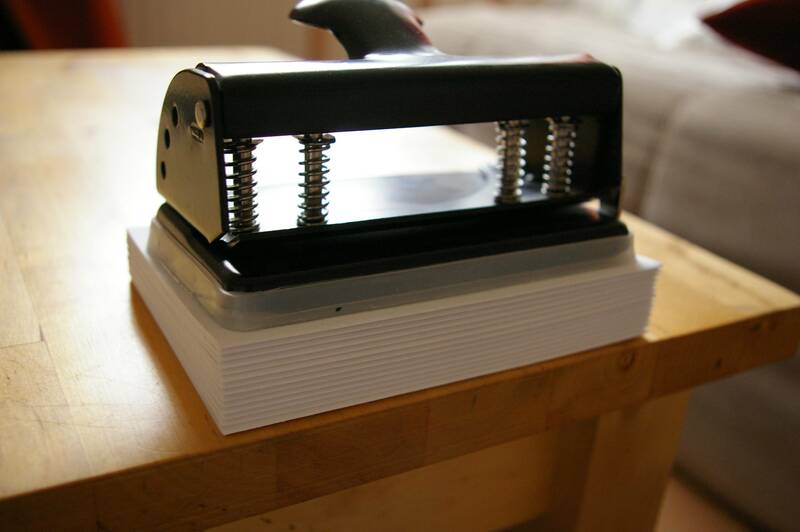 More papers will make it too thick and harder to pierce). 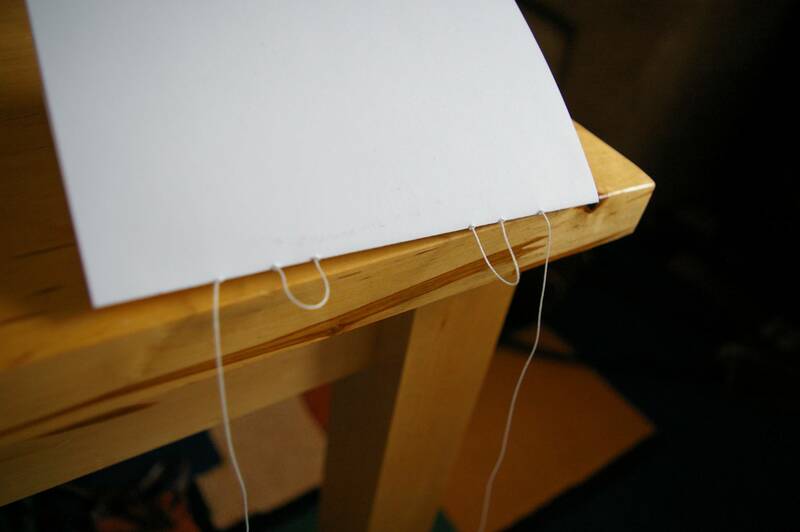 Take a thread the length of your total amount of flaps (plus a little more for good measures) and drag the thread against wax. This will prevent the thread from breaking. I’m using a beeswax candle. Enter the first hole of the flap, go through and exit the next hole and repeat. Place a new flap on top of the old one and enter the hole directly above. Add bands or some sort and place them in the smallest “grids”. We do this to add sturdiness to the back. I’m using the fibers of a coarse linen thread. 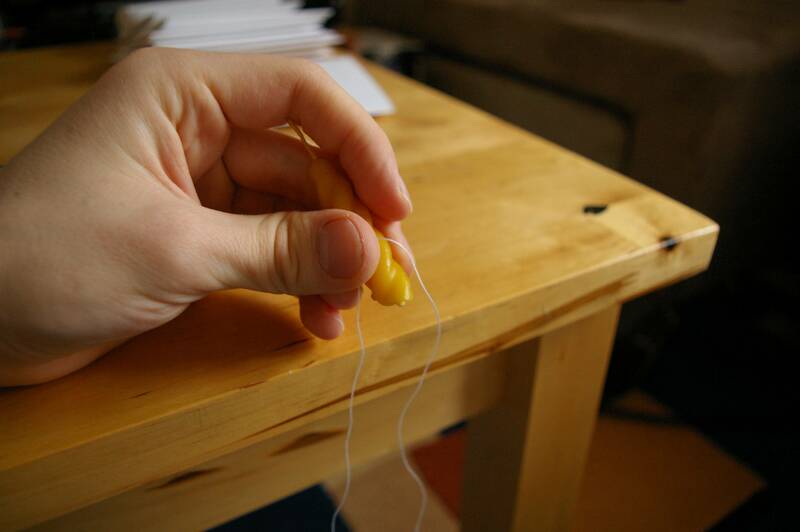 Always tug the thread after finishing each flap. 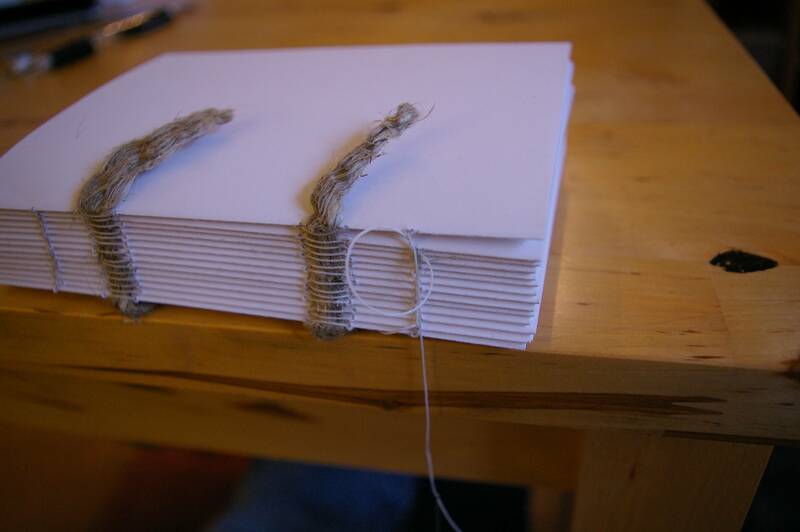 After the third flap you must make a small knot in the flap right below your newly finished one. Enter the next and make sure to always tie it at the ends. It should look something like this inside the pages. 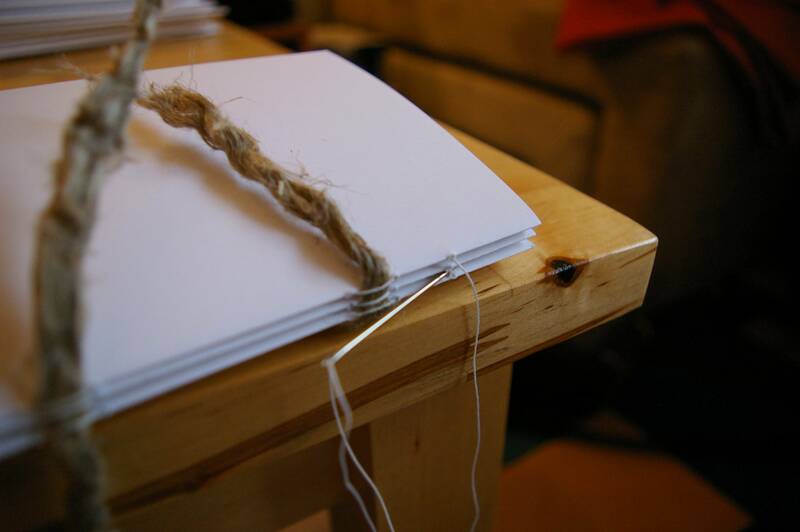 Stitch by stitch, stitching it together. Done. Finish it with a double knot. 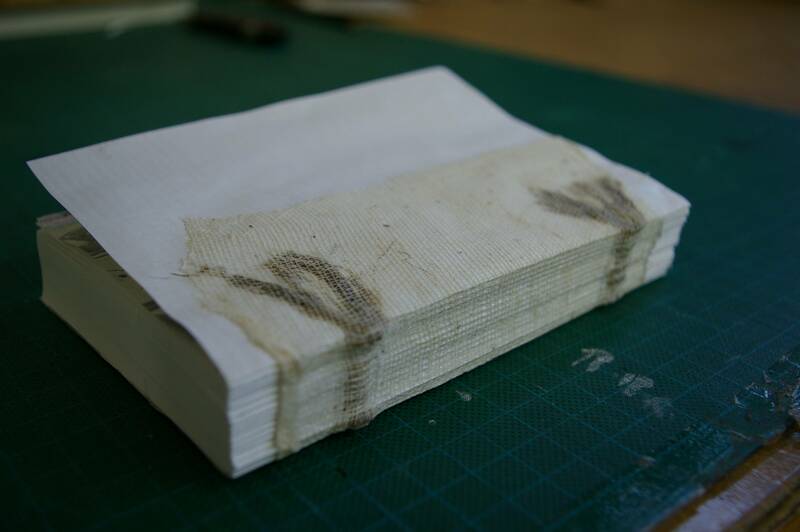 Put a thin layer of glue on the back. 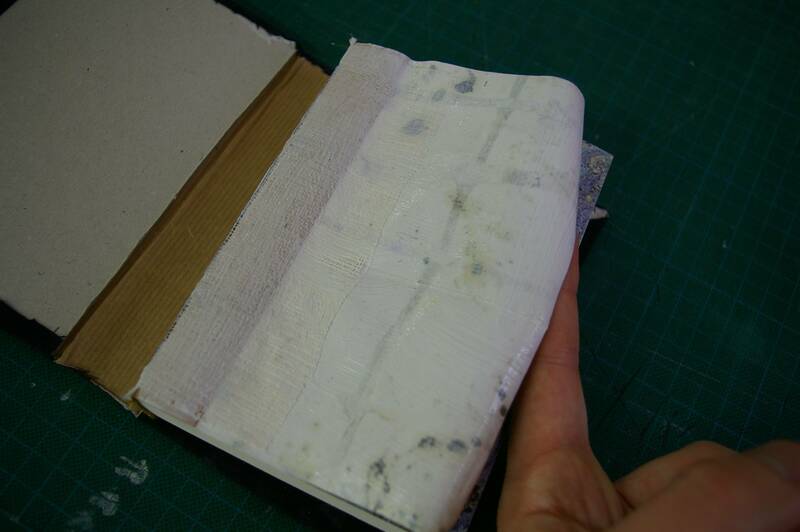 Remove the excess glue with your fingers and put the pages under pressure for another 24 hours. 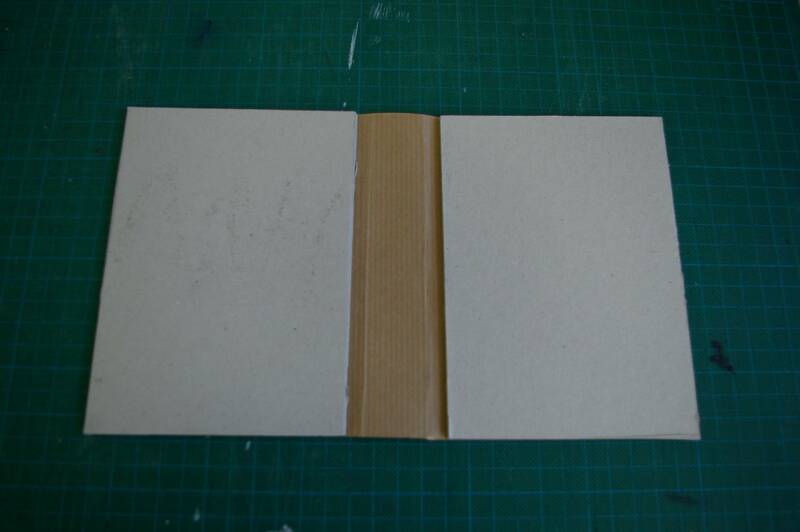 Cut 2 pieces from hard cardboard to use as covers for the book. 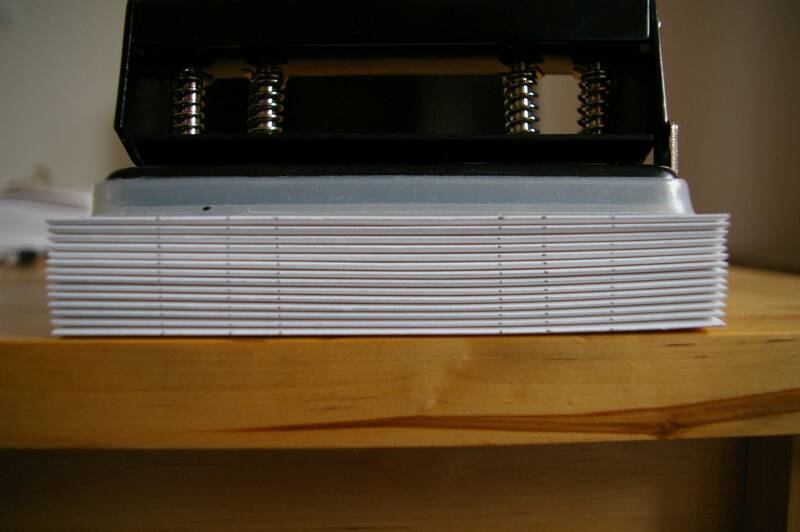 They should be just a few millimeters broader than the pages, we want a margin here. 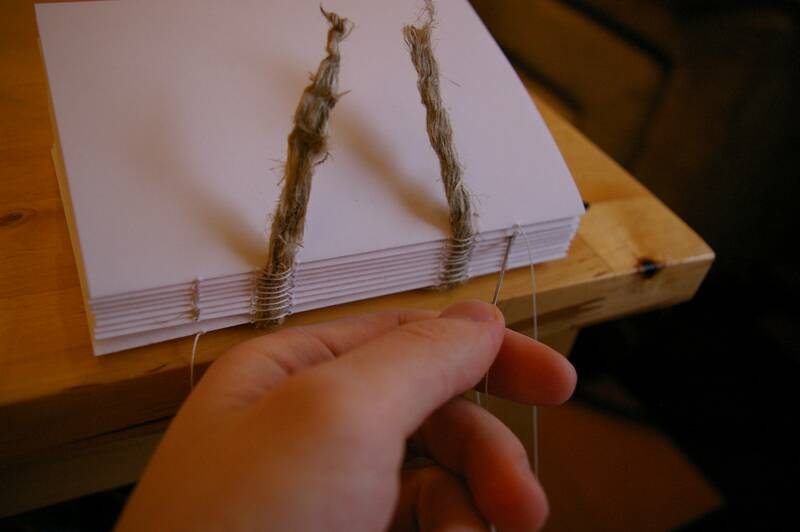 Again, it is extremely important that the fibers are facing upwards just like the pages. 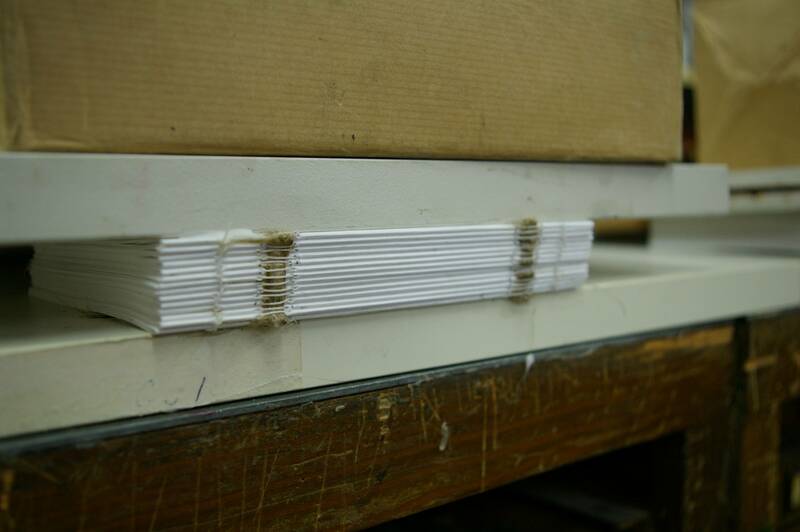 You can feel the fibers by bending the cardboard. 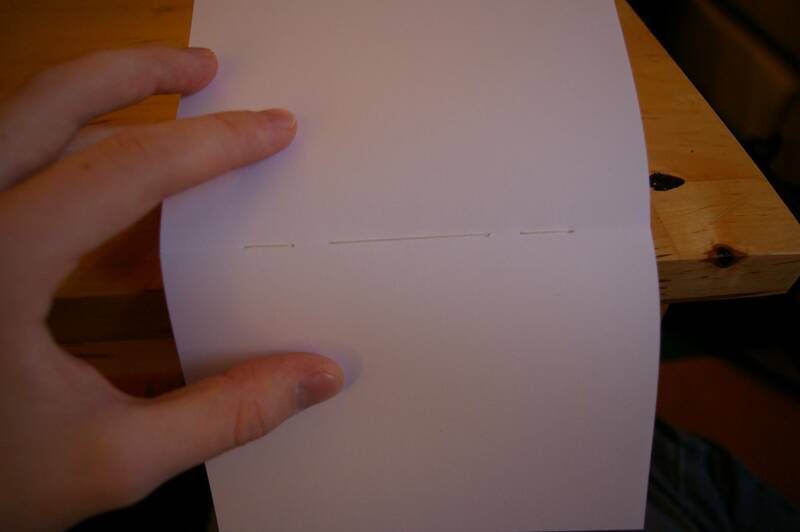 Cut out a small piece of thin carton paper. 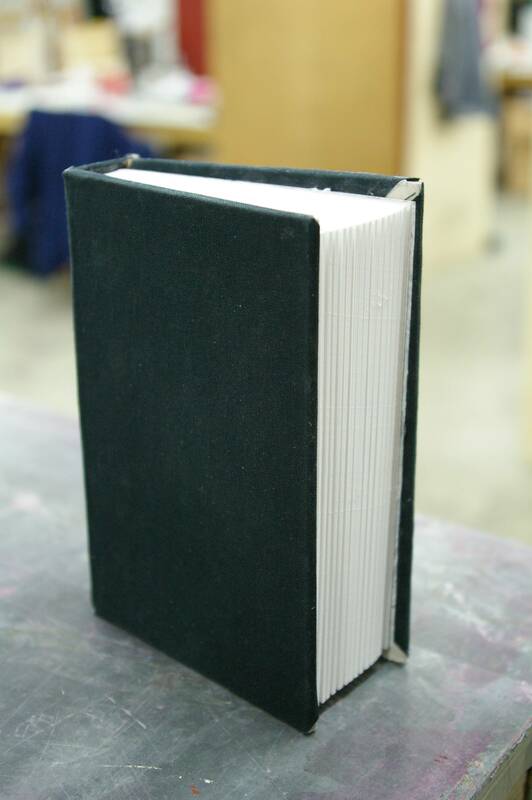 The size of it should be the exact dimensions as the backside of your book pages. Glue it against a piece of paper. Optional! Add fancy bands for decoration. 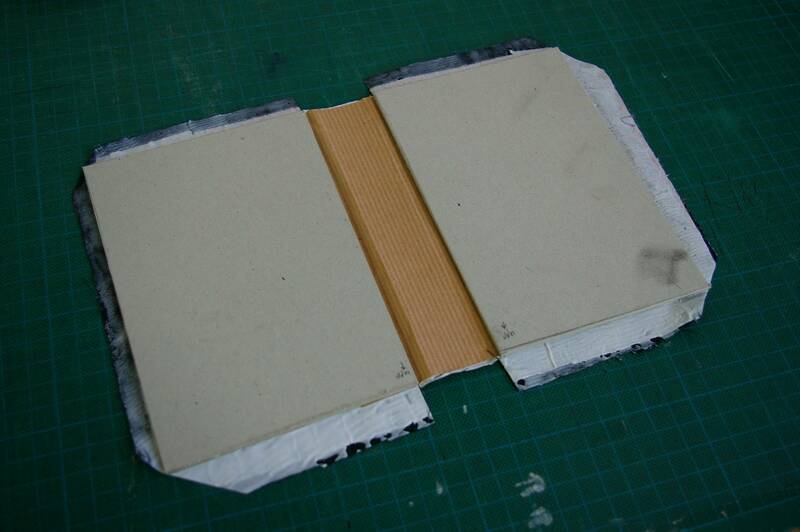 Now glue the hard cardboard covers on the paper back, the thin carton paper piece should be face down. 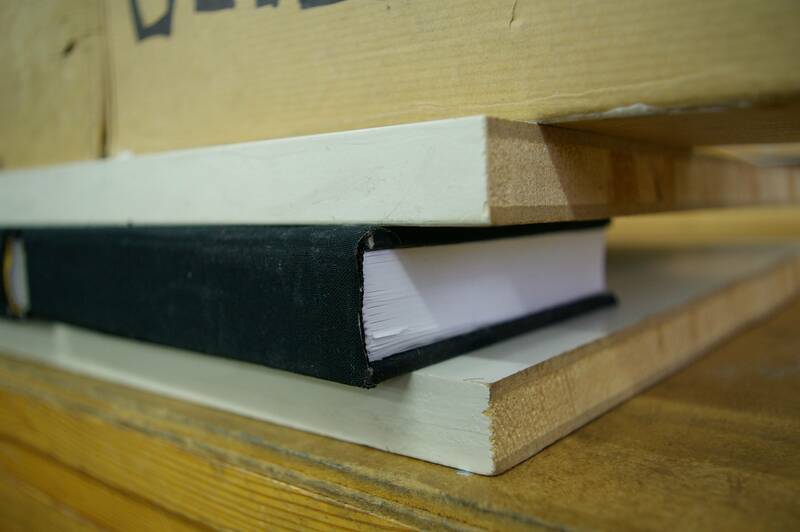 The margin between covers and carton back should be about half a centimeter, give or take. Cut out a piece of cloth that you fancy for the covers. 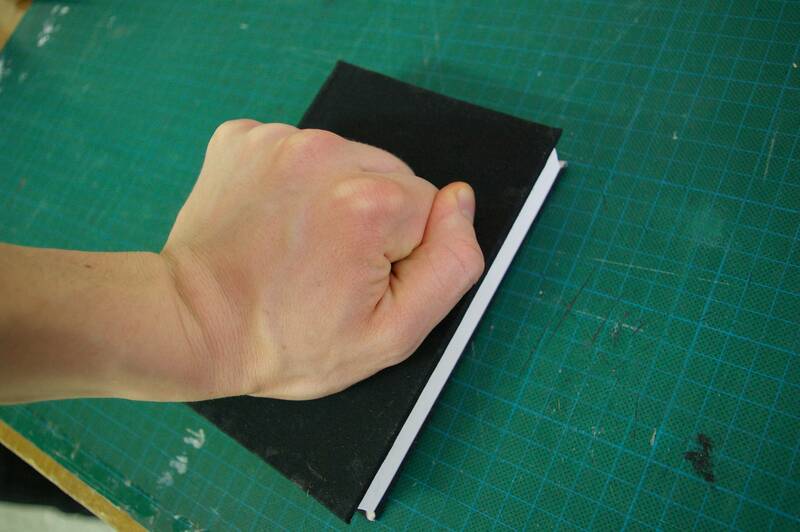 Make it larger than the covers by a few centimeters. 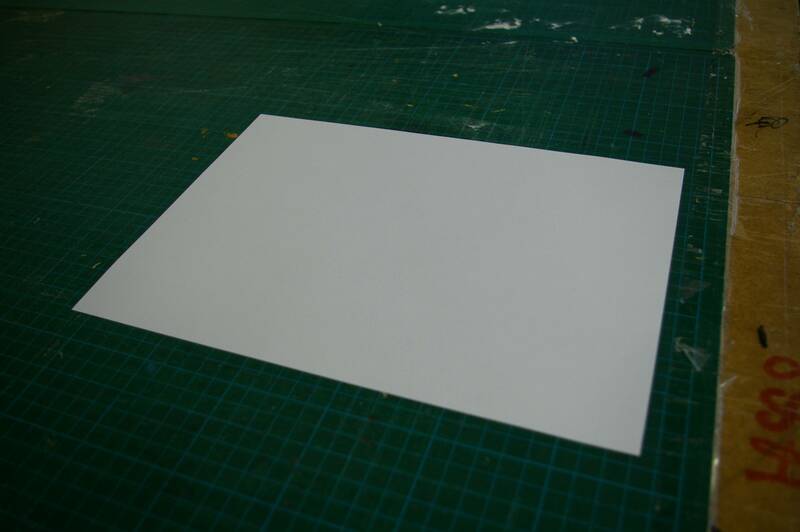 (If the cloth is so thin that you can see through it in the light then you might want to take a thin piece of paper and glue it against the cloth for thickness). 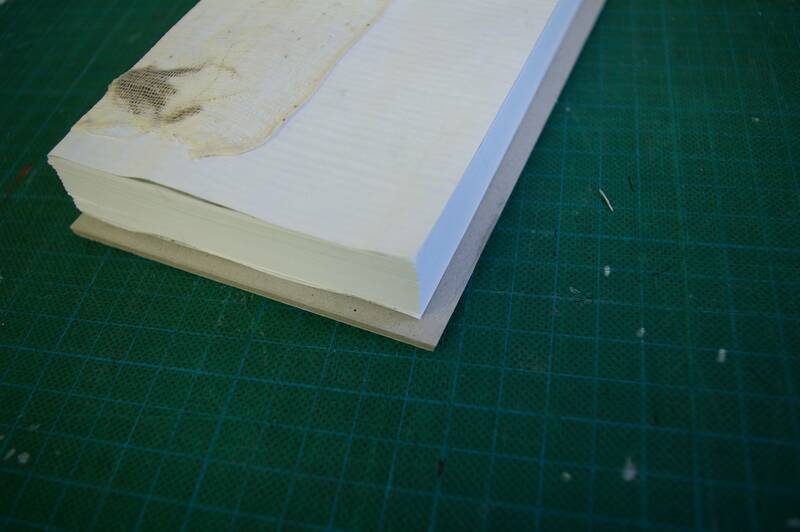 Add glue to the cloth and cut away the edges around the cover in a 45 degree angle. Cut away some near the backside too. 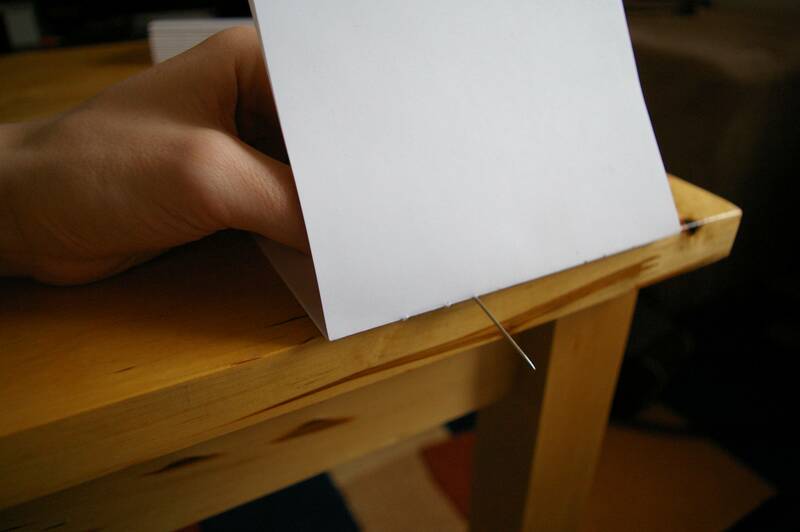 Place the cover on the cloth and fold all the edges over the cover to make it stick. 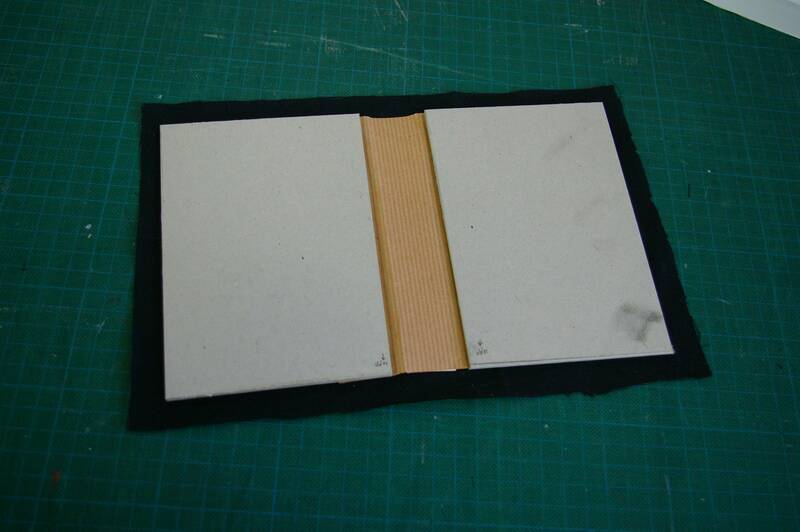 Place the pages inside the cover and carefully add a thin layer of glue at the back of the very last page. Use force and press all over it to make sure it sticks everywhere. Put the book under pressure for another 24 hours. “When you cut the 45 degree corners, make sure to leave a little extra. 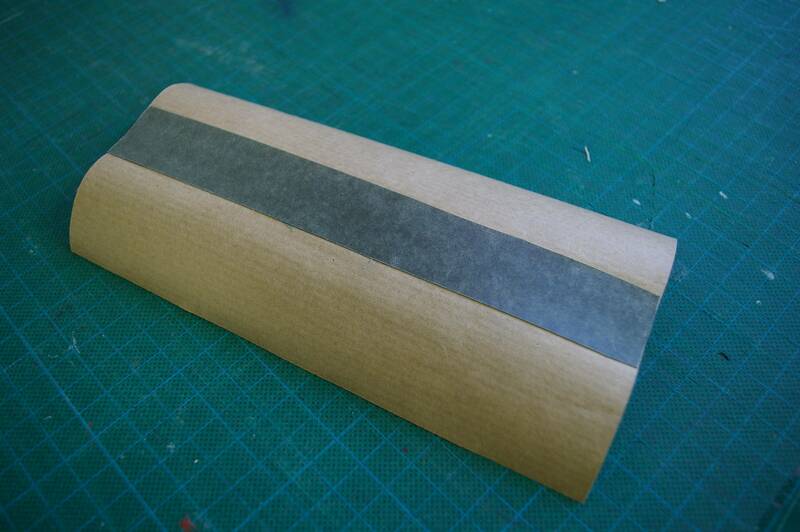 as you can see in the last picture, if you cut it too close, it will leave the corners of the cardboard exposed. It makes a much better finished product if you leave extra so that the corners will the completely hidden. 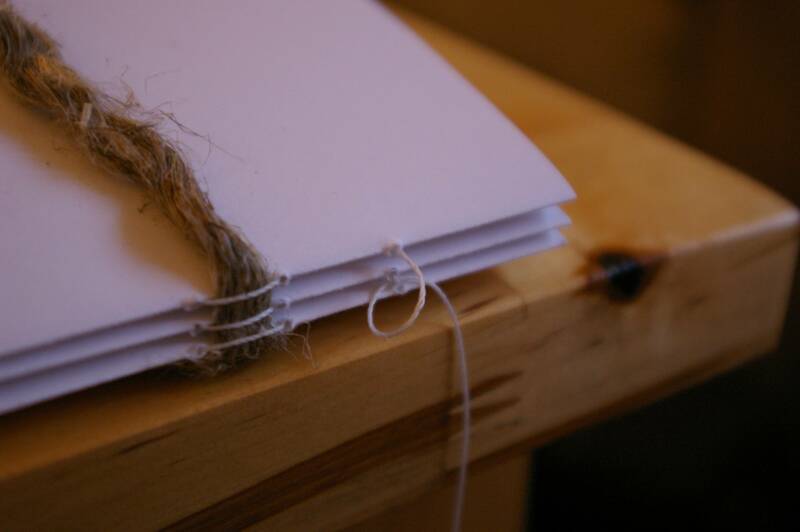 Also, paper can be finicky. When it gets wet, it curls and stretches. 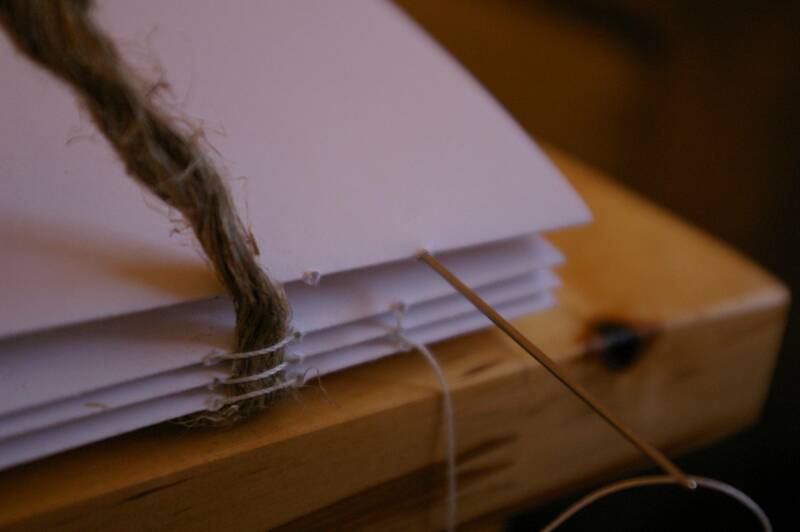 Most the time it’s not a huge deal, but when gluing down the first and last page to the cover, it will stretch and sometimes stretches so much it is visible out beyond the edge of the cover. 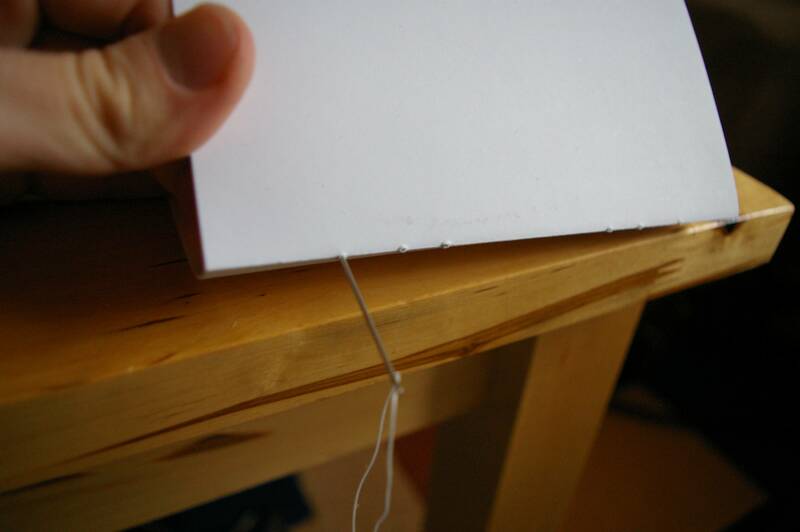 To prevent this, you can trim a tiny bit off before you glue it. 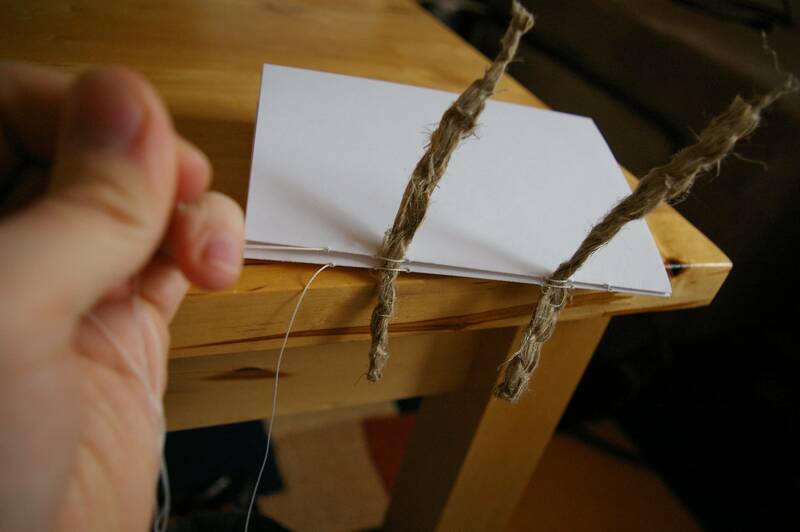 For more discussion on this guide to bookmaking (and more tips! ), I highly recommend checking out the actual Reddit thread by clicking right here! Let me know in the comments if you decide to take on this fun bit of crafting! I’d love to see your finished product. Special thanks to synapticsynapsid for the great guide! Fascinating – but I’m not sure I’d have the patience. 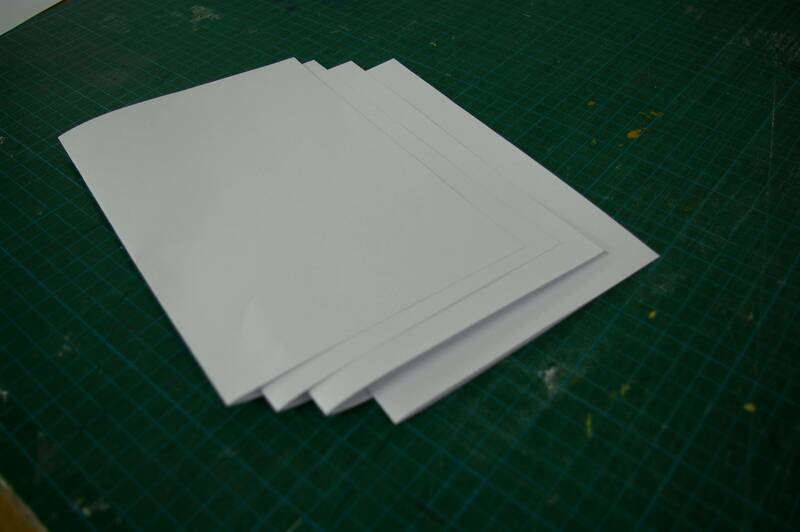 Went to a paper mill once time we were in Sweden, and saw them make the special handmade papers used for Royal invitations etc. 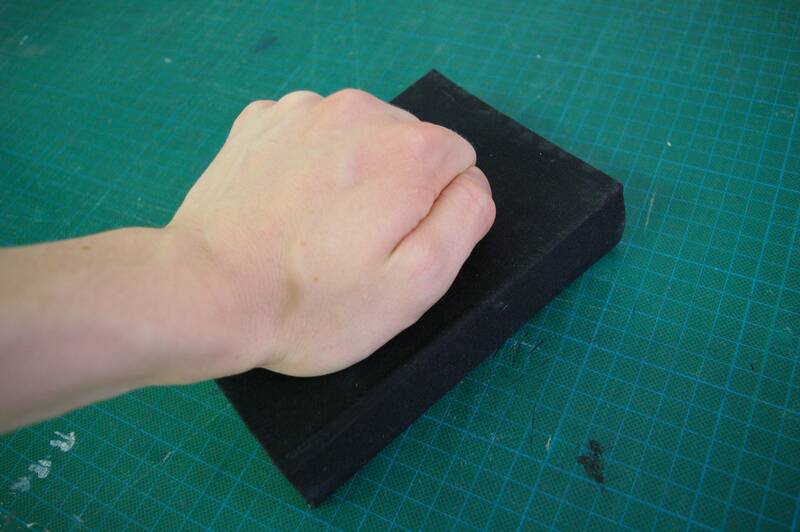 A hand bound book surely deserves some handmade paper. Another project perhaps. So amazing!!! Love it. Every bookworm’s paradise. Oh yeah! 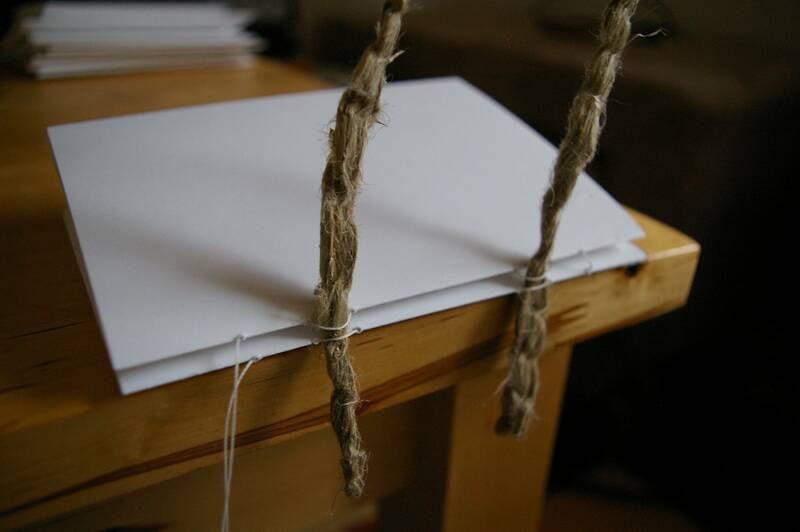 Could you imagine surrounding yourself in books you’ve crafted on your own?